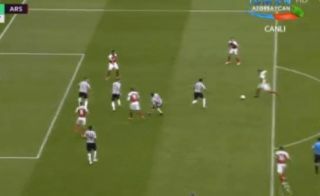 Arsenal star Mesut Ozil has capped his 200th appearance for the club with a lovely goal to make it 2-0 against Newcastle. The Germany international has been a fine player for the Gunners since his move from Real Madrid back in 2013, and this is an example of his class when he’s in the mood. Granit Xhaka scored the opener today and was involved again here as he crossed from the left, though Alexandre Lacazette couldn’t finish.